What is the current state of sustainable tourism in Greece? Asks Dr. Ioannis Pappas, CEO of GREEN EVOLUTION, in this guest post. His answer: many initiatives exist locally, but on a strategic, macro level the country’s tourist destinations are lagging behind. 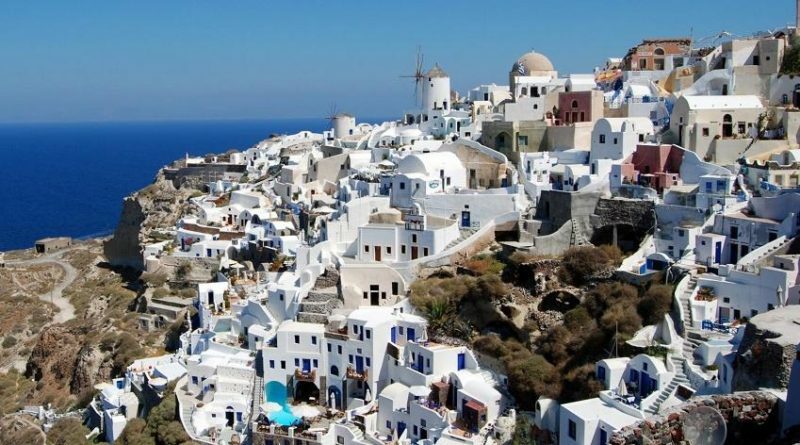 When tourists visit Santorini, they are immediately captivated by the views from the caldera. Equally astonishing are the cave houses built using thousand-year-old ingenuity that stand testament to the creativity of the people who inhabit this island paradise. These houses are weather proof and require few operating expenses, with sound structures that can last for centuries. However, as we all know, sustainability in tourism is much more than just weather-proofed houses. It is related to energy consumption, conservation of natural sources (water, biodiversity, etc), waste management, but also to the people, society, culture, local economy and many other factors. Tourism in Greece : How sustainable? Even though this beautiful Aegean island offers a breath-taking experience for visitors, we have to ask ourselves the bigger questions. How well do locals and travelers coexist? What level of employment satisfaction is achieved? Is the current level of tourism sustainable? 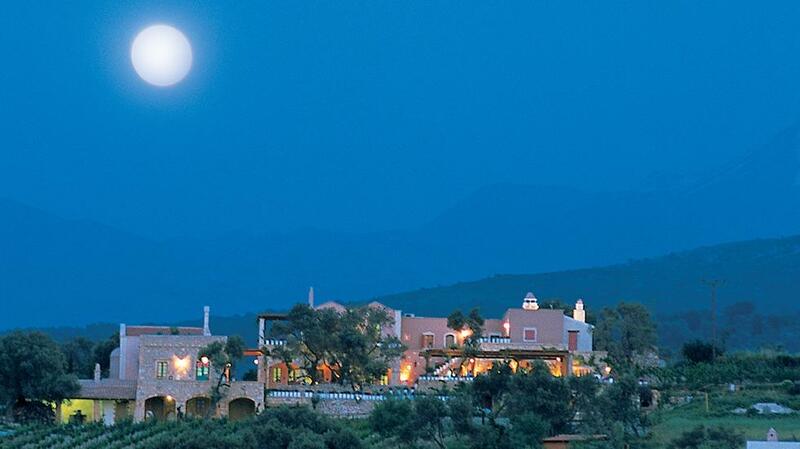 Is the idea of a sustainable destination truly understood throughout the Mediterranean region? During the last years, Greek tourism statistics have been impressive: every year, an increase of around 5% in visits, with almost 25 million visitors in 2015, which generates a total of around 17 billion Euros for the Greek economy and creating almost 800.000 jobs right in the middle of a six-year recession. In other words, tourism is the most important industry in Greece. Most of this income comes from the Cyclades & Dodecanese Islands, Crete Island, Chalcidice and the Ionian Islands. However, for those who have been to one of these islands during high season, it is visible that these levels of tourism cannot be sustained with the infrastructure currently in place. It is just not sustainable. Many questions are raised about water usage, waste management, the local population and their quality of life during the high season, the authenticity of the product offerings and their environmental footprint, and the overall pressure that tourism applies to each small eco-system. The good news are that during the last years, many accommodation providers – mainly hotels – have begun to prioritize sustainability, searching for accreditation, awards or certification by European Union or Global Sustainable Tourism Council recognized or approved labels/standards. In early 2016, around 240 hotels in Greece held awards or certifications regarding sustainability. Out of those, the most popular label was Green Key, followed by Travelife, the EU Ecolabel and Green Globe. In addition, labels like Green Leaders by Trip Advisor have been increasing in popularity in the last months due to the need of hotels to have a more efficient marketing tool via a well-established platform. More good news is the number of Blue Flags on Greek beaches. Under this label, 395 beaches and 9 marinas were certified in 2015. It should be noted that this was a result of efforts made by local authorities as well as hotels wanting to offer their clients a more attractive product: a sustainable hotel on a clean beach. 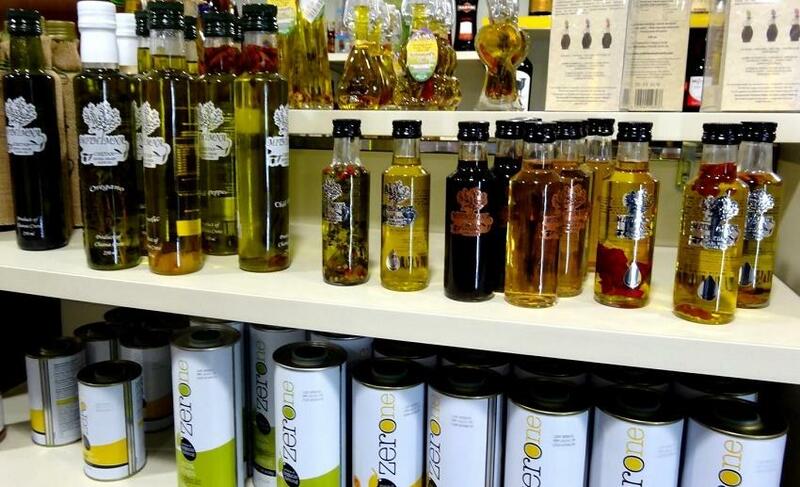 The last few years also saw an increase in awareness about local products and gastronomy. The ‘Greek Breakfast’ is available in almost every 4- and 5-star hotel, giving visitors a clear view of the variety of the authentic Greek products found in the region where the hotel is located. ‘Aegean Cuisine’ is another initiative which certifies restaurants based on their quality and ability to offer local recipes in an authentic manner. This certification scheme is mostly located in Cyclades and Crete and has been very active over the last few years. ‘We Do Local’ is another certification scheme that supports the production, economy and human resources of the region and promotes their uniqueness. It requires that hospitality businesses offer services that promote the local culture and gastronomy and respect the environment and sustainability of their homeland. Lastly, there is the ‘Greek Gastronomy Destinations’ that highlights the cuisine of Greek tourism destinations around the globe, not only in Greece. Another important area of focus for the sustainability movement in Greek tourism is conserving the country’s rich biodiversity and natural heritage. Greek flora and fauna are among the richest in Europe: more than 5.500 plant species have been recorded, with a large number of endemic species due to the isolation of mountains and islands. Nearly all mammal species recorded are indigenous, as well as 85% of freshwater fish species. Greece hosts a large variety of Mediterranean habitats included in the reference list of the Natura 2000 initiative including open sea, tidal areas and sea dunes, several types of shrubs and grasslands and Mediterranean mountainous forests of conifers. The list of Natura 2000 sites in Greece includes 241 Sites of Community Importance (SCI) and 202 Special Protection Areas (SPA). With such abundant natural splendors, there are many NGOs working towards their conservation, including the Hellenic Ornithological Society, Mediterranean SOS Network, Arktouros, and Archelon. In addition to all the previously mentioned initiatives, there are many other activities reinforcing the overall sustainability of Greek tourism specifically related to the inclusion of local communities and small companies around the country. These activities focus on creating a different experience for the traveler, a more unique and authentic one, offering solutions to the problem of seasonality and developing alternative incomes for the local population. An example of such activity is the ‘Paths of Greece’, a small initiative that helps the development of networks of hiking trails in the Greek islands and other areas, which are carefully designed to bring economic, environmental and sociocultural benefits to the local people. They have shown excellent results in more than 14 areas in Greece, creating alternative and environmental-friendly tourism products for many travelers and helping curb the effects of seasonality. The previously mentioned examples are strong evidence that show Greece as an all-around sustainable destination. Or do they? The truth is that if Greece wants to successfully achieve a meaningful level of sustainability as a destination, the first step is to prove its commitment by setting clear goals. So far, this is not a step taken by any of the local or national government agencies in Greece due to the fact that this decision requires strategic planning, collaboration and engagements by many different stakeholders and investment in infrastructure. Unfortunately, the last point is the most difficult to remedy in a period of recession. Most of the pushes towards sustainable tourism in Greece are coming mainly from the demand of the global market (operators’ demand, new markets, differentiation of the supply, etc) or thanks to the personal interest of some hotel owners to create a more authentic experience for the visitor. Many times, positive results start with a local initiative like ‘No Plastic Bags’ in Sifnos Island or the extra-ordinary geological ‘blessings’ like Santorini or Sigri Rock Forest in Lesvos. What should the next steps be on Greece’s path towards sustainability? 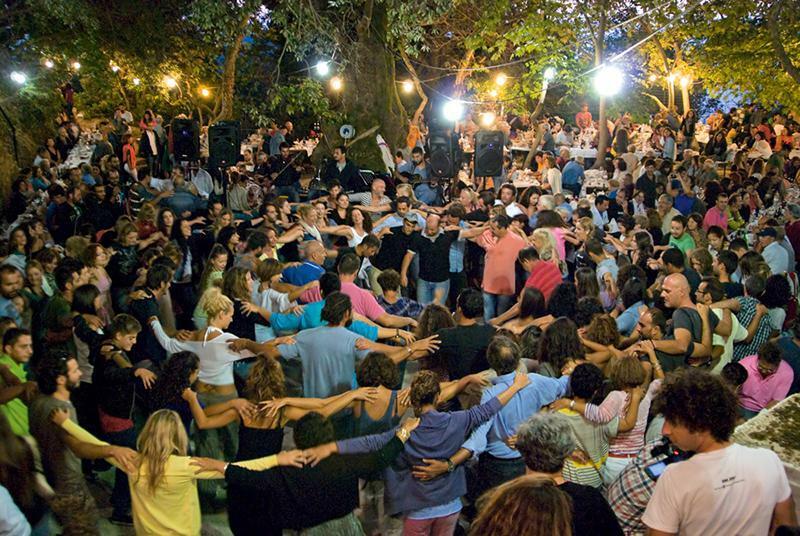 There is a great variety of choices and proposals, starting from solving basic issues like waste management and sustainable water supply in many popular islands, moving to supporting local products, reinforcing the philosophy of an alternative model to mass tourism and fighting the seasonality of the Greek tourism product. But, most important is to investigate and strive toward certification as a sustainable destination, which provides a unique opportunity to offer quality, sustainable services and to create collaboration between all the different forces in the Greek tourism supply chain. 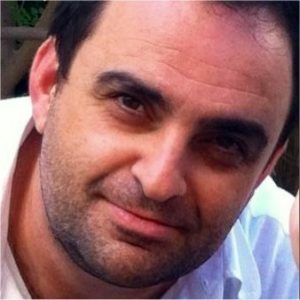 Dr Ioannis Pappas is a sustainable tourism consultant with a professional career spanning over 25 years in Engineering and Applied Mechanics, Energy and Environmental Services, Carbon Finance and Sustainable Tourism. Connect with Dr Ioannis Pappas on LinkedIn. Enjoyed this guest post by Dr Ioannis Pappas on the current state of tourism sustainability in Greece? Spread the word!